Deadlight, by Tequila Works, is a zombie themed 2.5D platformer in the same vein as the (original) Prince of Persia . 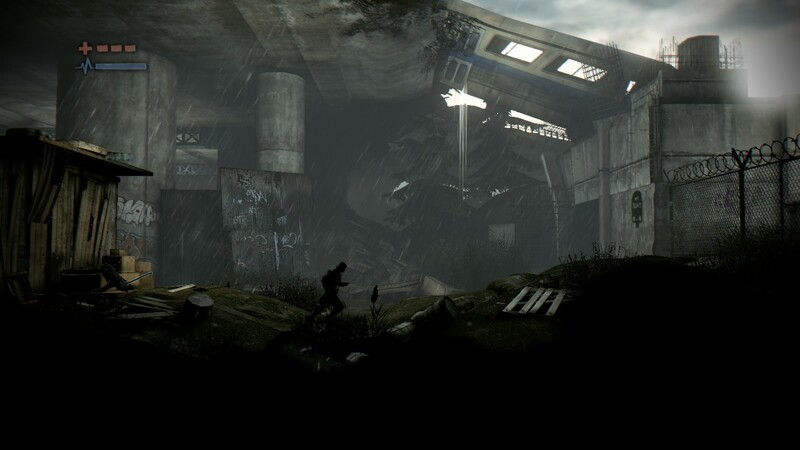 You play as a lone man travelling through an urban environment fraught with undead. It utilizes the Unreal 3 engine to great effect creating a believably rendered environment presented at a fixed perspective. The story in Deadlight is fairly hackneyed. 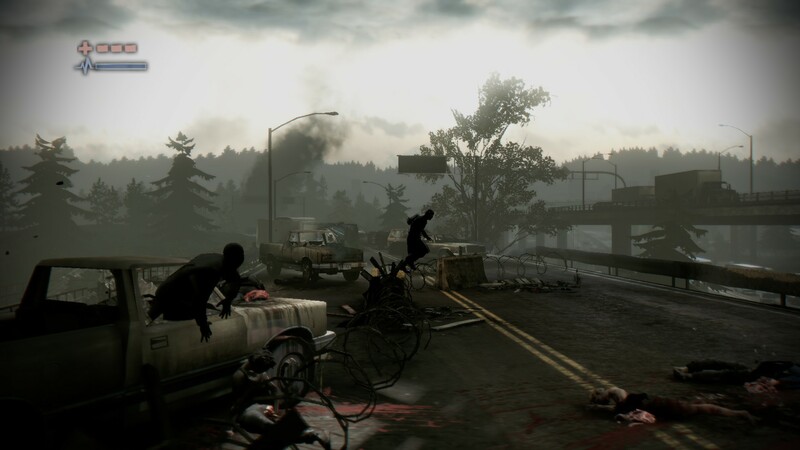 You play as a survivor of the nigh inevitable zombie apocalypse who in a stereotypical fashion has been separated from his family and must make a cross country journey on foot to reunite with them at a mysterious haven known only as “Safe Point”. Luckily this well worn trope doesn’t interfere with your ability to enjoy it’s stark and surprisingly rich environments. The story in Deadlight is fairly hackneyed. 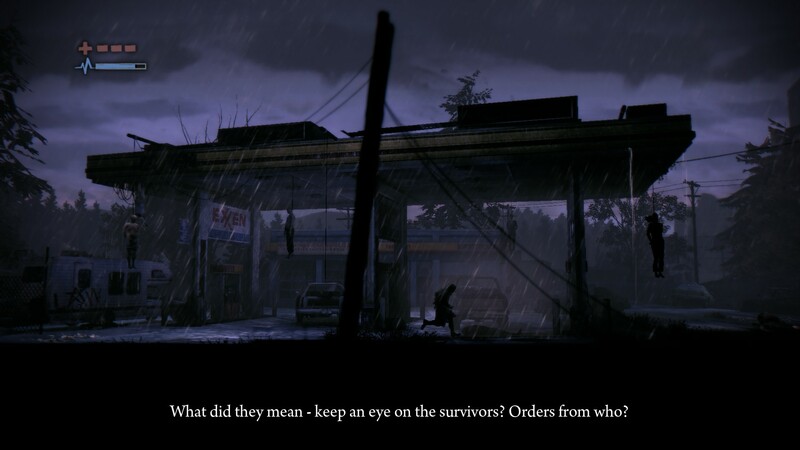 Deadlight takes place in the Pacific Northwest. It utilizes the earthy tones and coniferous forests of similar games set in the region like Alan Wake. I was impressed by how organically the developers integrated realistic real world settings into entertaining platforming opportunities. You will be vaulting your fair share of dumpsters and chain link fences, but often the background elements merge with the foreground, allowing you to leap onto and between the scoops of backhoes in a construction yard or traverse an area by hand-over-hand climbing across dead power lines like they were vines out of Pitfall. 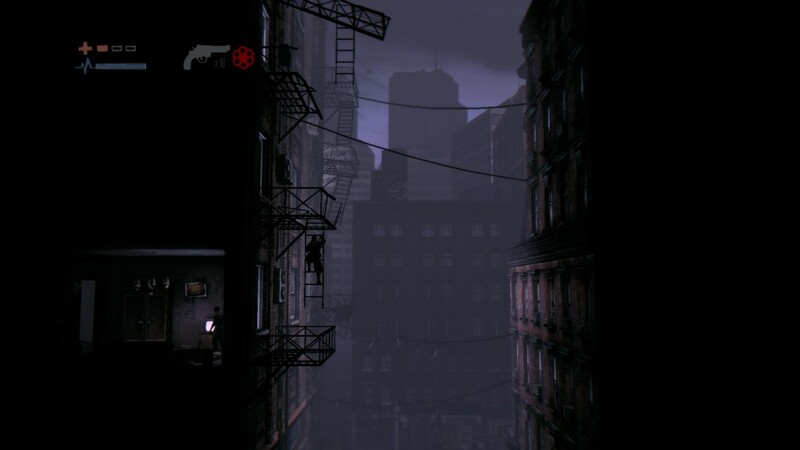 Frankly, Deadlight is gorgeous. I wasn’t expecting a lot for it’s humble purchase price onSteam, but was pleasantly surprised. It’s art direction and execution is professional looking and astonishing. Passing through the world, you actually feel like these locations are real and just being viewed from a single perspective rather than being a mish-mash of set pieces and random platforming that exposes the artificiality of the world. Your main character, John Everyman (or something like that) is your typical post-apocalyptic protagonist, complete with raddy trench coat and hobo-preferred skull cap. He is often depicted in silhouette drawing more than a fair bit of comparison to Limbo’s graphical style. Deadlight’s controls are precise and intuitive. With very little practice you will be making tremendous leaps across ramshackle building rooftops and lifting yourself over walls and fences. You can move along carefully or sprint with believable velocity when attempting a desperate leap to a distant ledge. 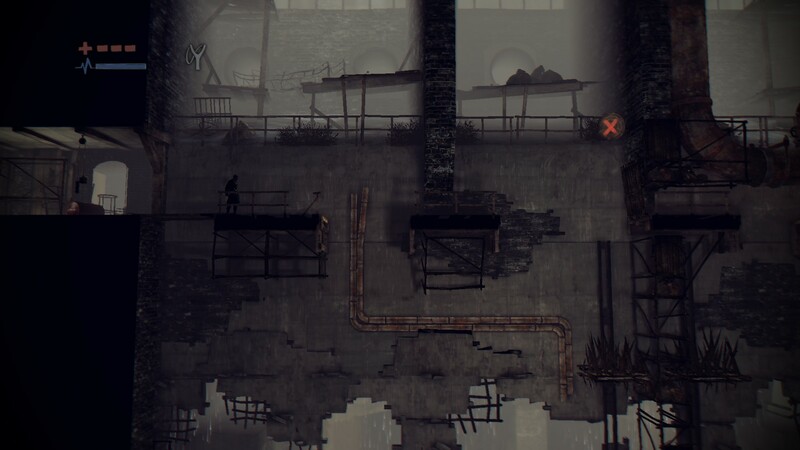 Because of Deadlight’s side scrolling perspective the developers had to be creative in the way the infected enter the play space. Instead of all the enemies existing on the same “vertical plane” as the protagonist, many of the undead are seen roaming around in the foreground and background of the level. This allows you to pass by them initially but alerts them to your presence. Once aware of you, the zombies will shamble towards you while slowly converging with the same “plane” that the action takes place on. The zombies, refereed to as “Shadows” in the in-game lore, are your typical slow moving, arms outstretched variety who aren’t especially dangerous until they come at you in numbers. Combat is secondary to avoidance. You will never have enough bullets to dispatch all your would-be devourers and the Fireman’s Axe you find embedded in a corpse early on is surprisingly poor at dispatching the undead. Firearms are useful but ammunition is scarce. Guns are fired in a fashion similar to another excellent XBLA debuted game, Shadow Complex or “twin-stick shooters” where you use the right analog stick to aim in an arc around yourself. By successfully lining up the angle of your gun with your target you can fire across the screen with surprising accuracy assisted by some liberal use of sticky targeting. Your best bet is to keep out of reach of the zombie hordes and use the contextual clues in the environment to dispatch them. A car on a lift in a mechanic’s garage can be dropped to smash enemies and weak floor boards can buckle under the weight of several zombies. One very useful utility skill that stood out to me is your ability to “taunt” the undead. By whistling and yelling you can draw them towards your location. This is useful when trying to lure zombies into an environmental trap or to make them abandoned a switch or ledge that they have inconveniently decided to cluster around. It’s common to find yourself on a ledge above a “pit of zombies”. You then “taunt” them to pursue you and then using your superior speed and agility, leap onto overhead platforms to flank your dimwitted foes.